Earlier this year, we switched away from Asana for our daily tasks over to Teamwork.com. Teamwork is an awesome platform, but we’ve ultimately decided to move back to Asana. The recent Asana redesign is beautiful, but more importantly it solved some of the issues we had previously and got us to look closely at it once again. Below are some reasons why we switched back to Asana, but also some reasons that kept us leaning toward Teamwork. It really comes down to a simple trade-off between the two; Teamwork is much deeper and more powerful, while Asana is easier to use. First off, I have to hand it to both programs for working as they say they should. We’ve all used software before that sounded great, but didn’t quite work the way it says it would. That’s not the case here — both have been virtually completely bug-free in our experience and have been a pleasure to use. Both systems have a great “what do I need to work on today” screen, but Asana’s is far better and this is the main reason we switched back. Teamwork’s main screen performed as expected, but was cumbersome. A single task (inside of a task list, inside of a project, inside of a client) would take up quite a lot of space on the screen. Asana drops them into a simple list, while giving you the additional info you need inline. Even better, Asana allows you to drag items on your main screen around to help set your own agenda for the day, while Teamwork keeps them locked in place. Going further on the previous item, it’s much easier to add tasks in Asana. You can literally hit [Tab][Q] (for “Quick” task) and have a new task in seconds. In Teamwork each task must be in a task list, which must be in a project, which must have a client. It’s logical and certainly makes sense, but it can be frustrating to create all of those things just to add a task. As a consequence of the above items, a few of us were starting to keep “side lists” (myself in Google Keep, others in Wunderlist) so we’d have a quick view of our day. While there’s nothing wrong with doing that, per se, it was a serious indictment that Teamwork was simply too cumbersome when it came time to get to work. While both are affordable (within the context of an essential tool that you use every day), Asana is certainly cheaper. Teamwork was costing us $99/mo, while Asana is free (or up to $25/mo if we pay for premium features). This wasn’t a big factor for us, as we’ll happily pay $3/day for a great tool, but it’s certainly a nice bonus. Start dates: This was the one that really caused us to pause before switching. Teamwork has a “start date” that can be assigned to tasks, while Asana doesn’t (and has no plans to add one). There are some decent workarounds in Asana, but it’s a shame they don’t add proper implementation. Recurring tasks: Teamwork is a bit better here (you can add a “stop after x date”), but they’re both about the same (and certainly better than Basecamp, which still doesn’t have them at all). Task templates: Teamwork is stronger here as well, though again Asana is good enough. Desktop app: Neither platform has a true desktop app, which is unfortunate. Mobile: The Teamwork mobile app does the job, but is cumbersome. Asana’s app is quick and lightweight, and is something I might actually use from time to time. Teamwork Desk: We’ve begun using Teamwork Desk with a lot of our clients (they can still simply email us, but we can deal with it in an organized fashion). Will things be more difficult now that we’re leaving Teamwork? Not really. Desk is an awesome solution, but didn’t integrate that closely with Teamwork Projects. In addition 99% of the requests we get via desk are dealt with immediately. For the few that aren’t, the Chrome extension for Asana will make it easy to add them to our task lists, so continuing to use Teamwork Desk won’t be a problem. Blue dot / notifications: When someone assigns you a task in Asana, it shows up on your home screen in a “new tasks” section with a blue dot next to you (which you can click to deal with the task). I forgot how much I missed this! With Teamwork you had to choose to email your coworkers when you assigned them a new task so they wouldn’t miss it. Teamwork made it easy to do, but it led to a lot of unnecessary emails. The blue dot is awesome. Comments and conversations: Both platforms allow for easy comments and conversation, but the implementation in Asana is awesome. We still use Slack for much of our internal communication, but the integrated comments in Asana are very useful. The video below shows off how that works. To learn more, I strongly recommend you check out this 30 minute “product tour” video from Asana. Not only does it show you the basics, but you’ll pick up some nice tips and tricks along the way. What is your favorite task management system these days? Leave a comment below and let us know what you think. 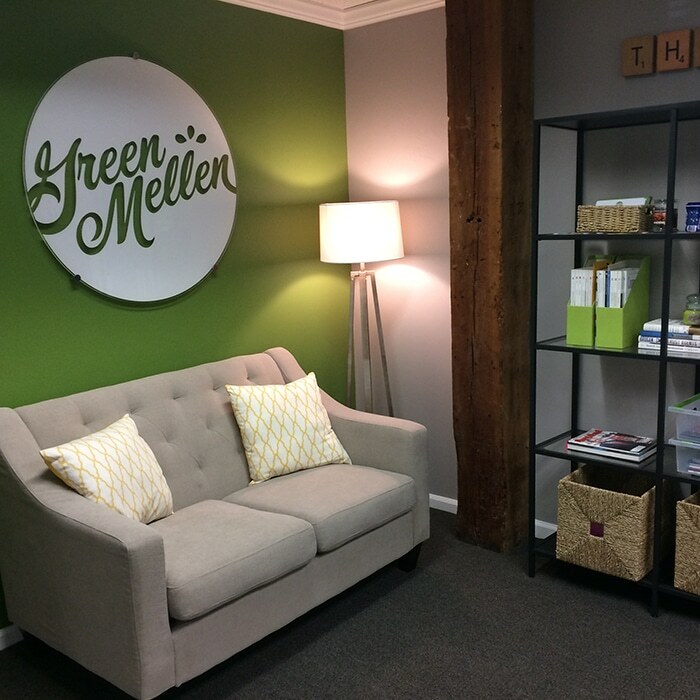 If you want to learn more about Asana or other digital marketing tools, contact GreenMellen Media today! I love the fact that you felt right with publiching this post transparently after publishing the first of switching from Asana to Teamwork. Clearly, each has its + and -! Thanks John. From your (admittedly biased) position, how does Hive compare to Asana and Teamwork in terms of functionality? I’ve not really looked closely at it in a while. John — Wow! That is above and beyond what I was looking for, and is wildly helpful. We’ll certainly dig in and give Hive a closer look, and I hope that post inspires other to do so as well. Hi, Thanks for your blog!! its a good one. I’m seriously considering bringing my team on to asana (we don’t use anything at the moment so I know it’ll be better! ), and wondered what these suggested start date work arounds were, as they may be good enough? Fiddling around with it I very quickly came across the lack of start date! I note that there is a connectable app called instagantt which might be able to help with those projects that have large pieces of work in them, have you looked at that and might it help? As for instagantt, I’ve heard good things but haven’t used it. Teamwork.com has some powerful Gantt tools built in, so you might want to take a closer look at them. Hi Mickey – thanks very much! I’m not sure the “as soon as we can” culture would work with my team 😉 I’m probably going to trial Asana though! I might see if theres a free trial for teamwork but given the level we’re working at, if a tech company like you struggles with it’s complexity, my team won’t have a chance! And they won’t mind me saying that. Seriously if they would add start date functionality, Asana would be a dream come true. Hi, I wonder what are your workarounds for the Start date issue with Asana. Cool, glad you found it. We still REALLY wish Asana would add start dates, but our workaround is working well enough for now. So are you still using Asana then Mickey? I thought you had moved back to TeamWork again. I still haven’t taken the plunge in to asana. Yep, still using Asana with no current plan to move away. Teamwork has their new version in beta, and I’m rather disappointed with it. It seems to be mostly behind-the-scenes updates (which is certainly good), but none of the issues addressed in this post have been fixed. I always keeping an eye out on other systems, too, but nothing has even warranted serious thought over Asana in a while. Thank you for your blog! I’m currently researching tools and am up to my eyeballs in it! Quick question: does Asana or Teamwork give you any sort of review & approval tracking workflows or automation (e.g: to track client approvals of designs or copywriting, etc.)? Good question! Sorry to say, but I’m pretty sure that neither of them offer that. Not positive, but I’ve never seen it in them. Mickey – your blog has been super useful in us evaluating Teamwork vs. Asana. Thanks so much for breaking them down for us! We have been struggling with this decision for some time and I have a few questions, if you have time. You mention the “WHAT AM I DOING TODAY?” being great in both, but we are having a hard time finding that feature in either program. The closest thing we found in Asana was “My tasks”, but they sort them into completely useless “New”, “Today” and “Later” groups. If you try to use Sections in your tasks, it treats the Section as a task and then makes the sorting by due date all wonky. We also couldn’t find a way to pull all past due tasks, upcoming tasks and tasks with no due date in one screen. Teamwork’s sorting is seriously wonky. When you are in the project’s task page, you can manually choose to sort by date or whatever, but you have to do it to each list manually each time. Their everything page is much better as far as being able to sort and filter, but you can’t add tasks within that page. Do you have any guidance or advice as far as this part goes? We don’t actually have “projects”, we are just a property management company trying to keep tabs on our to-do lists and tasks, so this is really just about the number one feature we need to work best. Also, you said that Teamwork takes up more space on the screen, but Asana opens up a whole half-screen every time you clock on a task. Is there a way to change that? That really annoys me. Teamwork lets you do everything in the same page, and also lets you edit a lot of stuff in-line, BUT if you accidentally click the task it opens a whole new page which is super-annoying (as opposed to clicking the assignee or the edit button). Both programs show you info in-line. I think Teamwork shows more, but Asana’s is cleaner because it lines things up like columns and dates are so much shorter and cleaner. That makes Teamwork harder to view at-a-glance, but Asana will “hide” Tags if you have more than 2, so…. We thought Asana might be better if we tried the custom fields, but they don’t show in the “My Tasks”, which brings me back to the last point. I appreciate any advice or guidance you can offer! By “What am I doing today?”, I’m indeed referring to the “My Tasks” view. If used correctly, the “New”, “Today”, “Upcoming” and “Later” are gold. If it’s in “New”, date it and move it (to Today, or Upcoming, etc). If it’s in “Today”, get to work! Collapse “Upcoming” and “Later” unless you need to peek at them, and rest assured that tasks (with proper dates) will bubble up when needed. I don’t know how you use your “sections”, but if you’re not using projects at all, then I suspect that your various sections should instead be projects and everything will work much better. Every business has projects, even if they’re just internal types of work. What do some of your sections currently look like? When I was referring to Teamwork tasks taking up more space on the screen, I was referring to the vertical real estate each one takes. A typical Teamwork task is roughly 135px tall, while an Asana task is around 40px tall. That means you can fix three times more Asana tasks on a screen without having to scroll. In most cases, that means I can see ALL of “My Tasks” at once instead of having to scroll up and down. The half-pane doesn’t really bother me, and they have a ton of keyboard shortcuts to make it quicker. I’m with you on the custom fields — they could be great, but since you can’t see them on “My Tasks”, it makes them rather worthless. First of all, thanks for this post. We’re now looking for a new PM app and Teamwork is winning in terms of features we need. The one thing we definitely need is time-tracking. If we used Harvest, Asana would be no problem, but we don’t, so moving to Asana would separate time-tracking from the actual tasks. How do you all handle it? Stephen – Teamwork certainly wins for well-integrated time tracking. We used Toggl for a while (which many people love), but now just do inside of Freshbooks (which we use for invoicing anyhow). It’s not perfect, but it works. It’s certainly a point in the column for Teamwork. 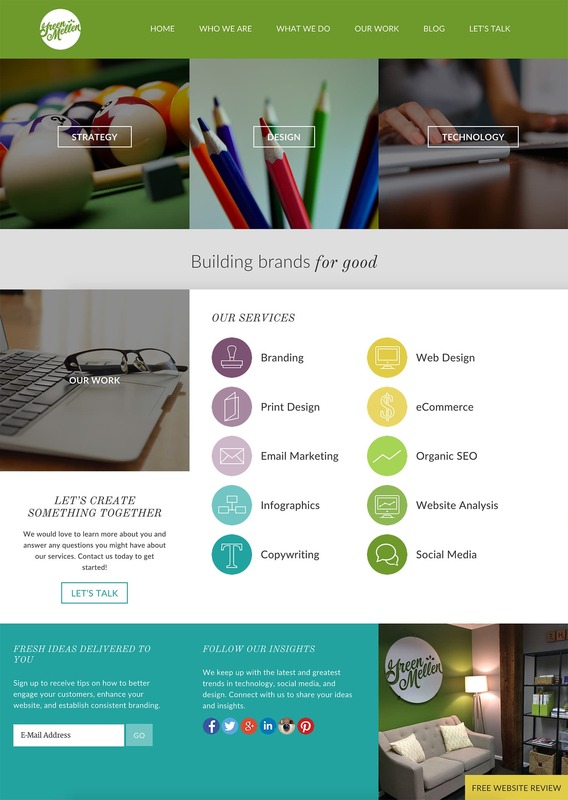 Did you check out Hive? Solves the start date issue, allows you to see what everyone else is prioritizing & working on in one view, natively integrates Slack & Drive all in same view with tasks, native Gantt charts, can assign tasks to multiple users, nice process template function. Seems better than both. The problem is that it doesn’t handle project-level views very well (or at least it didn’t when I tried it before). We need to add a lot of info to each project (beyond just tasks) and it didn’t have much room for that. Solid app, though. Very interesting Mickey. We introduced project descriptins, attachments and a Project Navigator to summarize those since you last visited. Would love to hear how we can iterate them to meet your use case. Hope all well with the team! Thanks John — I’ll check it out! Great post, and it was insightful seeing your switch from Asana -> Teamwork -> Back to Asana. Our team did the same thing but now we settled on ClickUp. I absolutely love it. Of all of the tools I’ve tried, ClickUp hasn’t been one. Why do you like it over Asana and Teamwork?